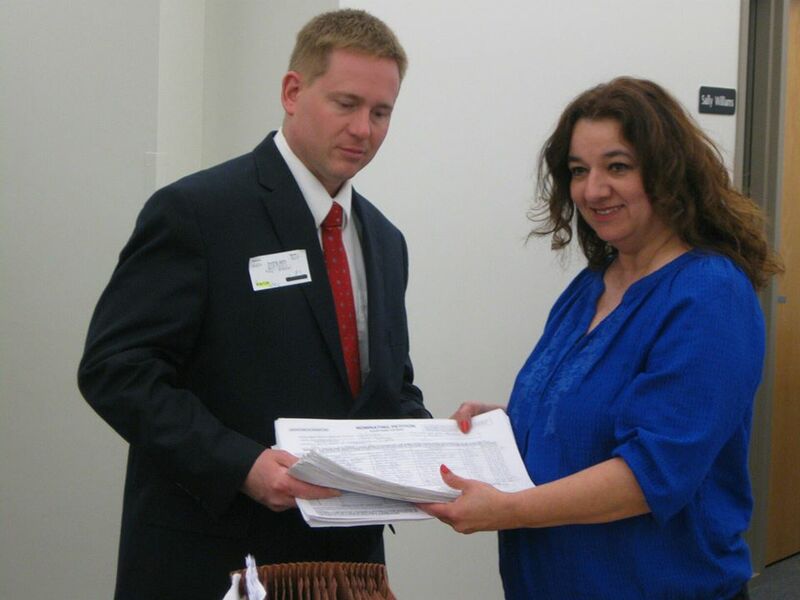 Its Official – Arcand Is On The Ballot For CD1! Incumbent Dan Benishek has yet to turn in any signatures and has not yet filed. As of this writing, Alan Arcand is the only candidate for Michigan’s first Congressional District. Turning in 1300 signature today (picture on right) at the the Secretary of State’s office this morning in Lansing, the Iron River native has made his mark. He is challenging Republican incumbent Dan Benishek in the August primary for the House seat in Michigan’s largest Congressional district. Arcand, an Air Force veteran and father of three young boys, cites Constitutional violations by both Congress and the administration as reasons for his campaign. Arcand will be forming his campaign committee immediately upon his return to Iron River.